Check out our new issues and reprints. Real Life Comics #53: Classic Golden Age Comic 1950 - True Adventures of the World’s Greatest Heroes! 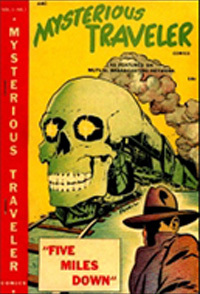 Secret Missions #1: Golden Age Adventure Comic 1950 - Menace! Intrigue! Mystery! Action! Seven Seas Comics Collection: Golden Age Adventure Comic Collection - Matt Baker Art! Seven Seas Comics Vol. 1 #1: Famous Matt Baker Art! Seven Seas Comics Vol. 1 #2: Famous Matt Baker Art! Looking for a specific book? Ask us and we will try and find it for you.